Perhaps Breakfast in Bed this year should be a bit more…. green…. 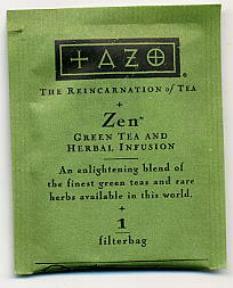 I just love Zen tea by Tazo – a tasty green tea with a touch of spearment which soothes the tummy and calms the nerves (hence the name)…. And these pretty, potted tea cups from Holy Mountain… I also have a beautiful hand-potted, green tea set. Asian inspired, it includes a bamboo handled pot and a whimsical twist – all the pieces are little green turtles. It’s stunning and a cherished wedding present from a dear friend/mentor. This image also reminds me of my niece who also makes stunning and award-winning handcrafted pottery (she’s incredible!). And a bamboo tray from Target…. 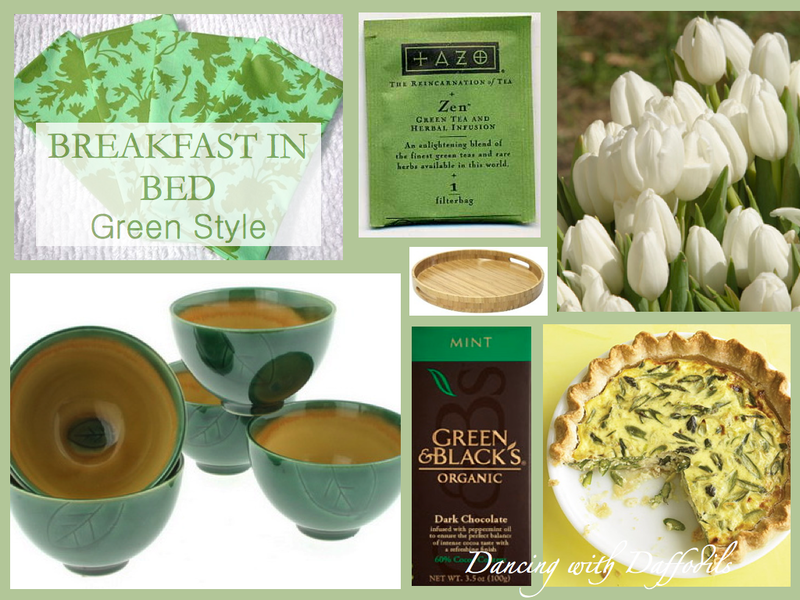 Breakfast in Bed Green-style would not be complete without a yummy asparagus dish. Reminiscent of bamboo, this irresistible green veggie completes the Asian motif. Buy organic asparagus and heighten the greenness (is that even a word?) of this gift. The perfect recipe is the Asparagus and Leek with Gruyere Quiche from Martha Stewart – delicious! Make it the day before in little tart pans, plate and reheat – it’s that simple (plus you can freeze some for later…). Add some flowers with simple lines (a single lily or a bunch of tulips), some Green & Black chocolate (organic and fair-trade certified), some exotic fruit, a little yogurt and you’ve a divine celebration of MOM! I love this idea. Tea, quiche, chocolate. Thanks, Monica. Great website, by the way… The Mother’s Day gift sets are mouth watering!